Yelp has come under fire in recent years from some small businesses owners. 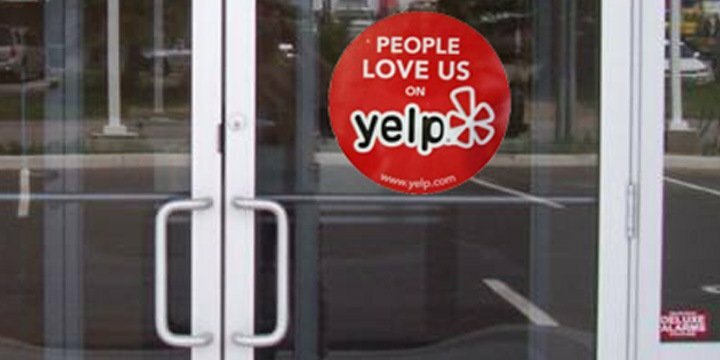 Some have claimed that Yelp manipulates reviews in order to pressure businesses to advertise with them, a charge that Yelp! denies. Others claim that they’ve been harassed by Yelp! sales associates trying to land ad sales, another claim they deny. As a result, they wish to deactivate their accounts and no longer be featured on the online review website. So, how do you remove your business listing from Yelp? Unfortunately, there is no way to remove your business page from Yelp. Users who want to post a review generate the business listing, and while you can claim the listing and manage it, business owners have limited power over whether or not it will get deleted. You can however close your user account which will remove any content you’ve posted (reviews, photos, etc.) as a consumer, and once your account has been deleted the contents cannot be restored. If you’d like to close your user account, please click here. There are two types of accounts on Yelp: business accounts, which are used by business owners to access a suite of free tools to manage their business page on Yelp, and user accounts, which are used by consumers to find great local businesses on Yelp. If you’re a business owner and you no longer need access to a business page that you’ve claimed, you can unclaim the page and close your business account. However, keep in mind that closing a business account does not permanently remove the business page from Yelp. You can fill out information about your business (i.e., menu, store hours, images etc). This can help with SEO and other online marketing initiative. The more information that’s available, the easier it will be for people to find it. You can add pictures to the listing. Research shows that Yelp users spend 2x more time on Yelp listings with photos than those without. Yelp will send alerts to your account email when reviews are posted, and you can respond to the reviews. Timely responses is critical. You can also edit the “About This Business” section, which is a place for you to share information about your company history, specialties and recommendations. You can encourage your “real” customers to add “real” and “authentic reviews about your company. You cannot remove bad reviews. Once it’s out there, a negative review is permanently on there. You cannot control whether or not your business is listed at all. If someone has reviewed you, they’ve created a listing for your business that is on Yelp. Hidden reviews are a controversial topic on Yelp. You cannot control the filtration system that Yelp uses to determine potential spam reviews versus reviews from actual customers. Although it isn’t possible to remove bad reviews from your Yelp listing, you can try to up the overall quality of reviews you are receiving through the reputation services offered by ORM companies like iRISEmedia. There is absolutely no way to remove my business profile. I have one bad review. I also have 25 good reviews that Yelp has chosen to hide. Advice?